Thre are several options: You can rent a cottages in Fjällnora, stay in a small hotel across the lake or choose from plenty of alternatives in Uppsala. 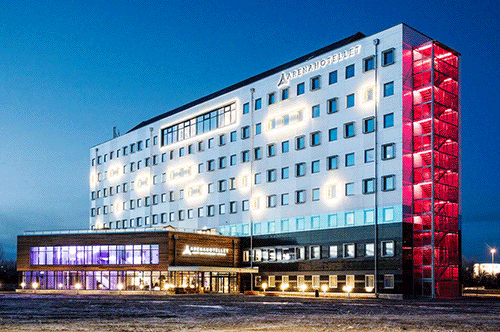 The Arena Hotel – The brand new sport hotel is the biggest in town, located near the E4 high way. So, what’s a “sport hotel”, well – for instance they can provide rooms with extra long beds for basket champions and tall runners. It takes you only 20 minutes by car to get to the race start. There is a special offer for our participants. Make your reservation on +46-18-35 00 25 or reception@arenahotellet.se . Please write “6sjoar” in the header of the mail. Four bed room: 1295 kr. Please note, this offer is due only August 10-12, 2018. 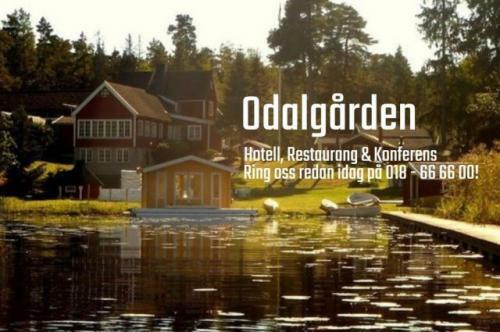 Odalgården – Small and cosy hotel, restaurant and conference establishment in the village Marielund by lake Trehörningen. This is along the 10 km course, on the opposite side of the lake. If you are into something different, you may take a bike, boat or canoe to the start. They offer our participants a special runner’s dinner, one night in a single room and a hearty breakfast for a total of SEK 1 200.